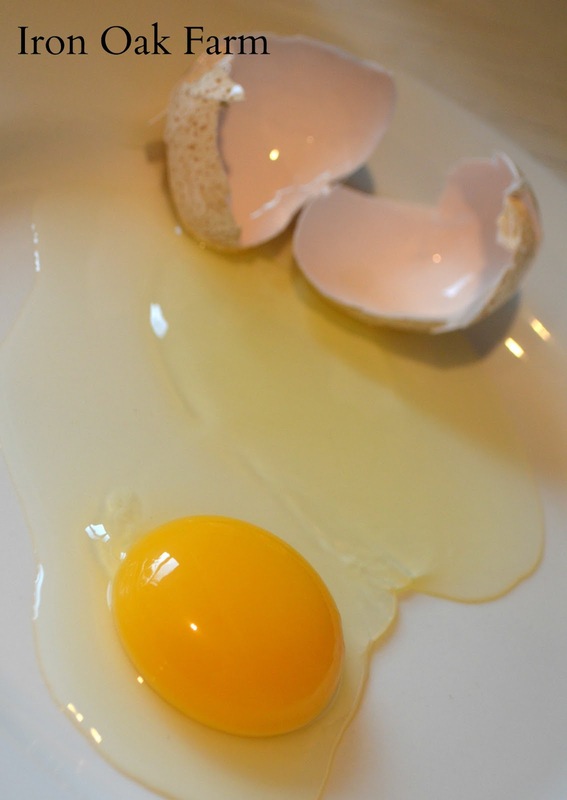 When we were kids I remember some of us eating snapping turtle eggs. And also remember one friend eating frog eggs! 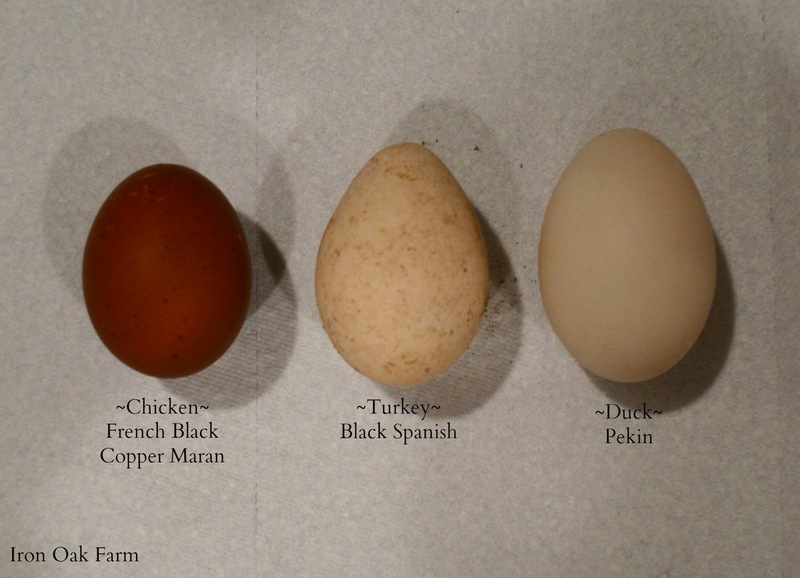 I’ve also eaten turkey, duck, chicken, guinea,and goose eggs! I have Bourbon Red turkeys and Royal Palms . You are really missing something if you don’t let them build a nest and sit on their own eggs .I made my nests out og 30 gallon landscape plant buckets, cut in half and mounted on a wooden platform. (like a small pallet )My red hen laid 15 eggs in it this spring ,and hatched 15 poults .She stepped on one , and killed it the first day .But she raised the other 14 .She is the best mother that I have ever seen .She was so careful with her babies , that she walked in tiny steps ,almost in slow motionuntil they were a couple weeks old .She taught them what to eat ,and how to be turkeys . I have a few Blue Slates , that I hatched in the incubator and they are not nearly as smart as the mama raised poults . I have a secret desire to move to the country and have a flock of turkeys. It is my favorite meat. I am just a little worried about the time and rigors of doing it though,. Not sure if it is something I could maintain and handle. When it comes time for harvest, is it a do it yourself project or can you have it done for you? Raising turkeys isn’t difficult at all. In fact, in opinion they are neater and easier to manage than chickens. how much do they charge ? I have been doing my own but don’t like it! 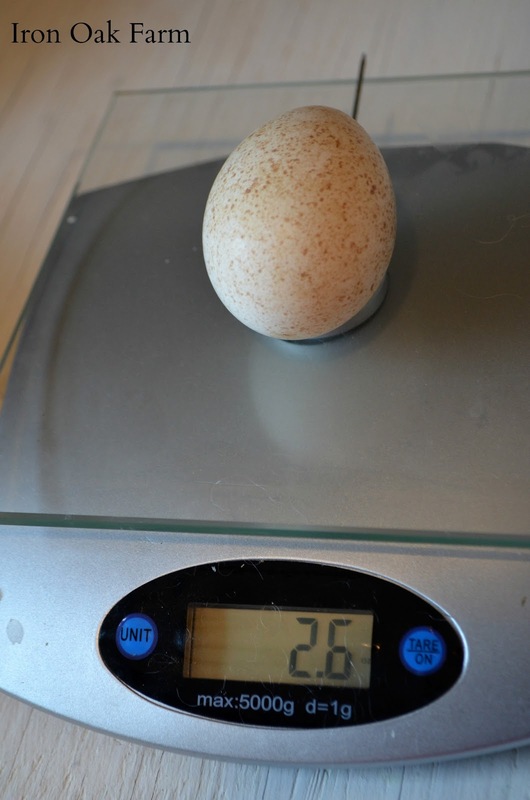 We raise Minature White turkeys and I incubate all the eggs until I have the poults I need and then we eat the eggs. 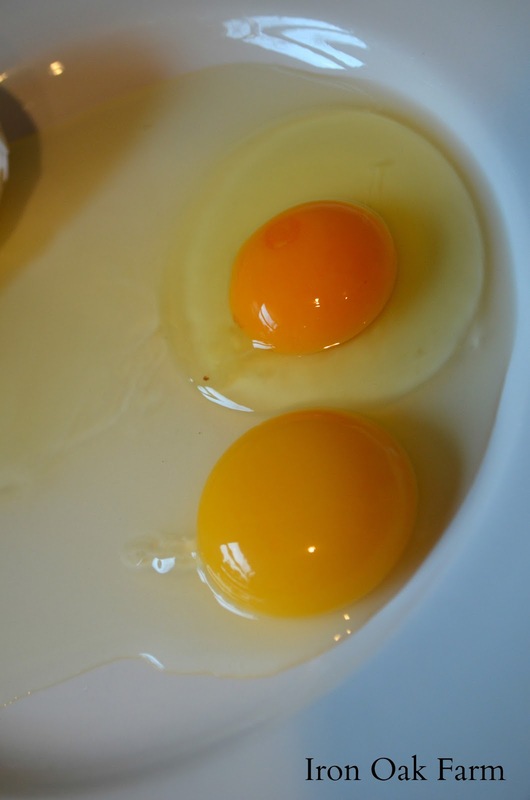 The MWT eggs are much like the eggs described in color and speckles and are larger than our chicken eggs. No ducks here so I can’t make that comparison. 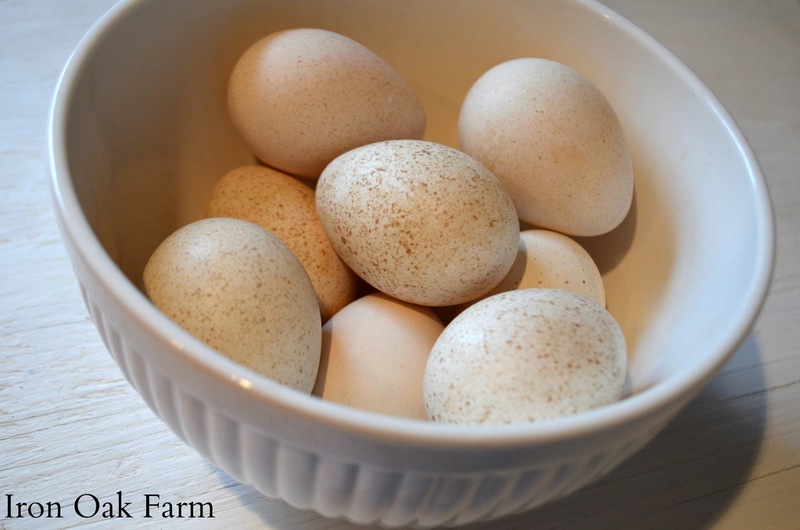 I can sell the fertile eggs for hatching but I prefer to sell the poults if I have extras. My incubator runs until mid summer with chicken eggs and the turkeys are usually done laying by then. 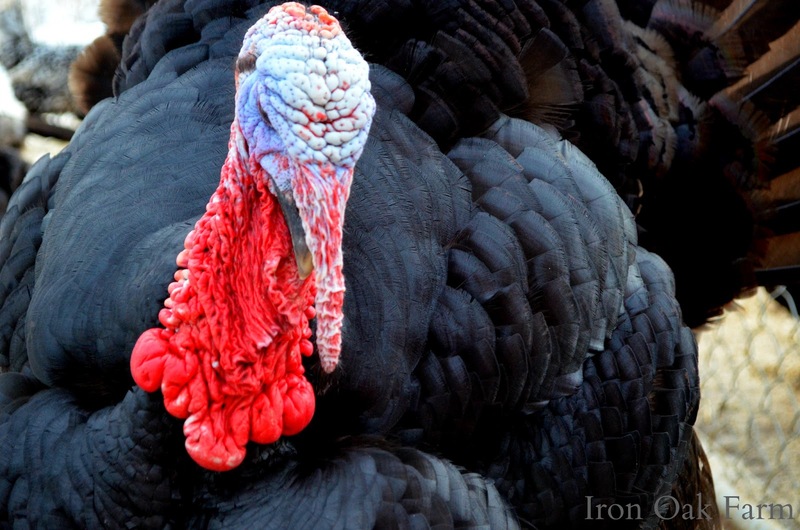 We like the size of the MWT’s as there are just the two of us (retirees) and the large breeds of turkeys would be too much meat without cutting them up. The Miniature White is a beautiful variety! The girls seem to be getting serious about their clutch,…I’m going to give them a few more days and maybe start collecting for incubation. I have chickens, guinea fowl and turkeys. I eat the eggs from all of them. The guineas have the darkest yolks as they eat very little of the commercial feed I provide but all three can free range if they desire. 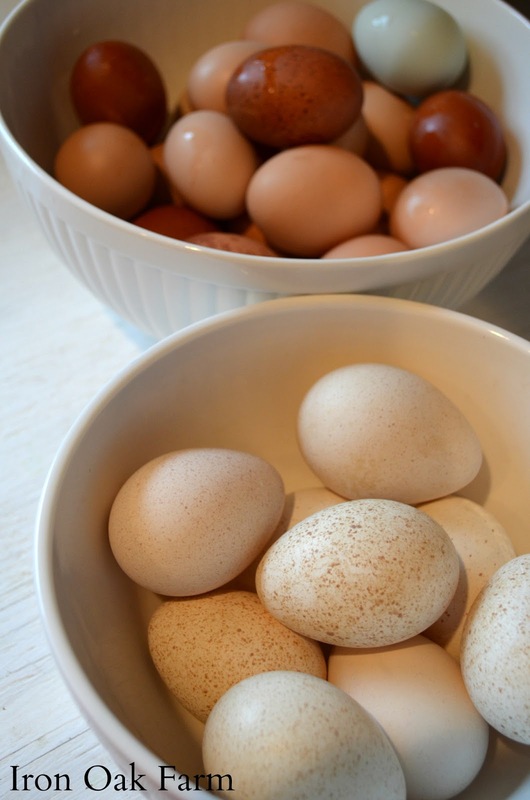 I’d love to try a guinea fowl egg. I’ve thought about quail too. They have delicious eggs. Turkeys are beautiful birds. My Grand parents have Guinea fowl on the farm and you should get some of them. You will never forget the sound they make. We’ve thought about it. I think they’re really interesting. I’ve heard they’re great with pest control too.